I love podcasts. I also love staying up to day and learning more about WordPress. Unfortunately, podcasters seem to create new podcasts and then abandon them faster than Because of this, many of the lists online now are a little out-of-date. I quickly talk about some of the best WordPress podcasts that are coming out now with relevant, informative content today- in the summer of 2017. WordPress Weekly is the official podcast for the great WP Tavern news site. If you’re not subscribed to their blog and podcast, chances are you’re going to be the last to know anything in the WordPress space. This is a great podcast for WordPress users at all levels, but especially for users who are maybe just starting to scratch below the surface. If you’re just getting into WordPress at a more professional level and are interesting in an approaching introduction to the ‘inside baseball’ of the WordPress community, I’d say you should start here. Episode suggestion: Episode 255 includes an interview with the lead developers behind the WordPress Customizer. This is a great place to start to see if the behind-the-scenes of the WordPress project is for you. There really is no conversation about WordPress without bringing up Post Status. The publication of WordPress staple Brian Krogsgard and alongside Joe Hoyle, Post Status has been the place to go for insightful and informative news on WordPress. And because it often appears in the Dashboard News widget, it’d better be. The podcast is no exception. The same thoughtful pace found in the writing on Post Status governs this podcast, resulting in deeper dives into topics. Instead of the segment-based approach other podcasts take, Post Status Draft is closer in spirit to a WTF-style pod, long-form conversation weaved through with personal experience. Whether the episode is dedicated to a particular topic, like maintaining legacy websites or the rest API, or interviewing important figures, you’ll be sure to learn something new or see the topic in a new light. Episode Suggestion: While some episodes can fall onto the technical side, this interview with Matt Madeiros covers some great ground when it comes to WordPress and community. wpBuilds is a relatively new podcast from two guys who bring a more user-friendly approach to WordPress. For absolute beginners and especially for users of Beaver Builder, wpBuilds is a great and casual-feeling starting place. Similar to WordPress Weekly, they follow a more segmented approach, covering recent WordPress news and updates. Episode Suggestion: Any interview with Beaver Builder creators is always good, but even better when it includes David Waumsley, a true Beaver Builder connoisseur. I’m pretty new to this one, but when the hosts can boast such names as Pippin’s Plugins and Delicious Brains, you know there’s going to be some expertise overload. To be honest, it’d be hard to find a website that’s not running a plugin from one of these brands. I’ve just started digging into the archives here, but so far lots of great resources for WordPress freelancers and specifically developers. 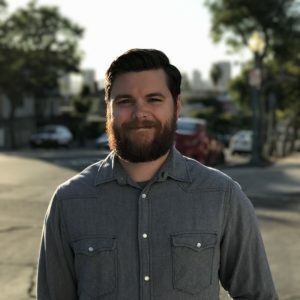 Episode Suggestion: Recently they snagged Matt Mullenweg right before WordCamp Europe. From Lee Jackson comes this great podcast that focuses on one-on-one interviews with WordPress influencers including Troy Dean, Matt Medeiros, Brian Jackson, and Rebecca Gill. If you’re a freelancer or interested in developing your own agency, this is the podcast for you. Episode Suggestion: Episode 80 offers some great advice for anyone looking to up their SEO game. Since we’re here, I’ll throw in a few podcasts that do not fall into the best WordPress podcasts category, but are helpful nonetheless. Free Agents – A podcast from Relay FM about freelancing. Slow and conversational, but includes the occasional tidbit and comes from a non-WP perspective. The Versioning Show – Great series of interviews on design and development, presented by Sitepoint. Is there a great podcast that I’m missing out on? Please let me know! Wow Brian, thank you so much for including wp Builds. Much appreciated. Oh, and this gives me a chance to say thank you for your book. You had me laughing, nodding and smiling all the way. Extremely engaging. …Well I say that, but I’ve yet to finish it. That’s weird. I bet Nathan distracted me with another appsumo deal! Thanks for reading and for the great WordPress- and BB-related content!